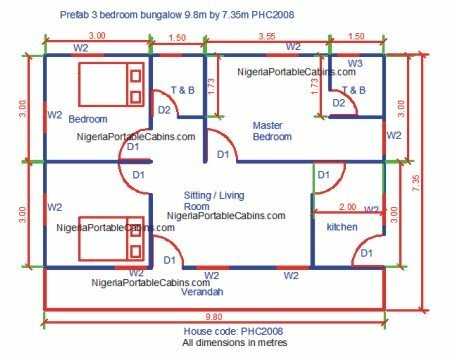 Prefab House Plans Nigeria – Free Prefab And Steel Building Plans. Get Yours! Prefab house plans give a clear interpretation of what the customer desires in his metal or prefab steel building. People say that "a picture is worth more than a thousand words". And that is so true! It is especially true when it comes to constructing prefab homes using the instructions laid out in the prefab building plan or the steel building plans. We do not construct any prefabricated building without a building plan. In fact, no smart engineer or professional builder works without a building plan because building a house without a plan is like groping in the dark. And the end result will be catastrophic failure. Therefore, we have defined standard metal building plans for portable homes made from prefabricated sandwich panels. This means that even before you approach us to purchase a prefab home, we already have a number of plans you can choose from. However, since each customer is different from the other, we accept custom specifications from customers and build to customer specifications. In simple words . 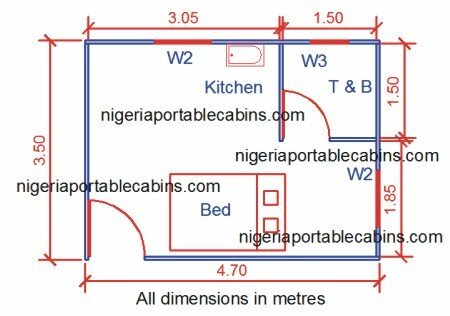 . . you can either use one of our prefab building plans for your portable home or send us your own design and we will build your prefab building to your steel building plan. What if you don't have a prefab home design of your own in print but know what you want? You simply tell us what you want and home design team will transform your wishes into a functional prefab house plan . . . a metal building plan that match your dreams. Every steel building construction starts with the building concept. And then the concept is converted into a steel building plan that all can see and agree to. 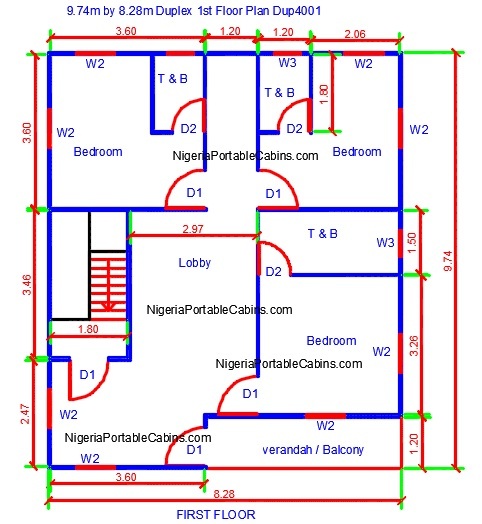 Thereafter, this is constructed into a home the customer will be excited about. Why is having a documented metal building plan important? 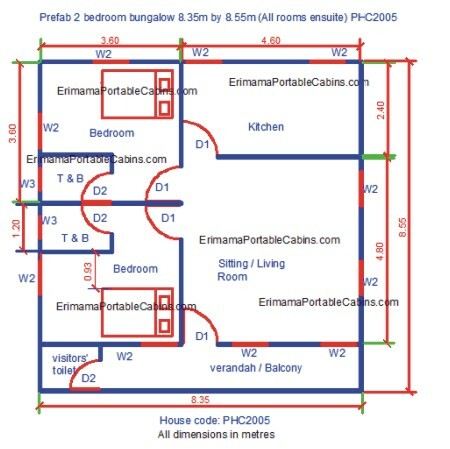 Why is it important for the customer to sign off a prefab house plan before construction starts? 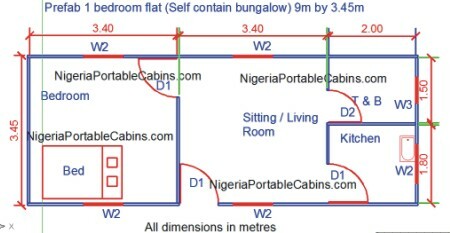 A drawn out prefab house design states in clear terms the expectations of the customer. And it enables our engineers and portable home builders to build to the exact specifications of the customer. Steel building plans are the compasses that guide our engineers to successful delivery of your prefab home on time and to your satisfaction! The house types available with prefabricated buildings are similar to those with regular buildings.
. . . and a handful of others. 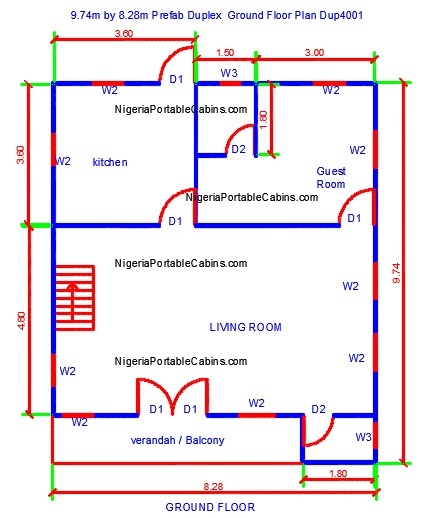 See sample prefab house plans below. 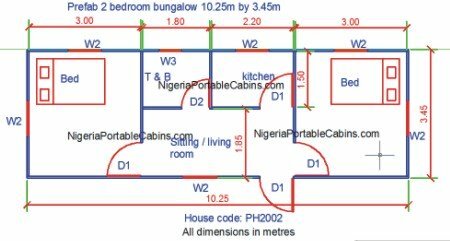 Below are the steel building plans for some of the house types in Nigeria listed above. 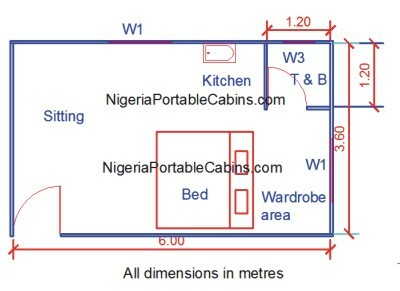 Looking for portacabin building plans? 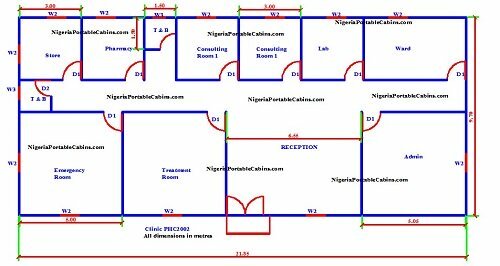 Click HERE to see sample portacabin designs. 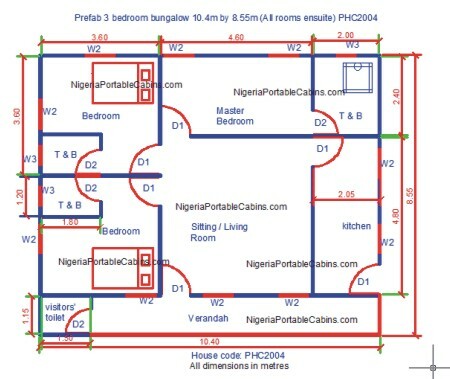 Want to buy any of the bungalow house plans above or need a portacabin? Want to buy a prefab duplex instead? Click HERE to request Prefab Duplex Quote.